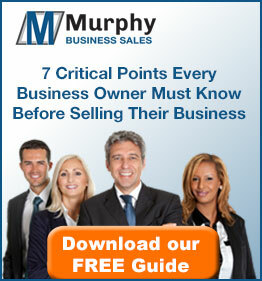 Murphy Business is the largest and most successful business broker in North America with offices conveniently located throughout the United States and Canada. The Clearwater, Florida (FL) office provides beneficial connections in Tampa, Clearwater, St. Petersburg, Brandon, Lutz, Oldsmar, Riverview, Valrico Seffner, and Plant City. Choosing to partner with a national business broker provides an advantageous reach of over one hundred and eighty offices that have affiliations with National and International Business Brokerage and Merger & Acquisition associations. The Clearwater office is also headquarters for Murphy Business and its franchises in North America. According to www.tampabay.org and a recent study by them, it ranked the Tampa Bay Area as the 13th largest media market in the country and a destination for over 20 million visitors per year. The market has more than 1.8 million people in the labor force and attracts 185+ new residents each day. Florida provides a business-friendly environment where only 8.2 percent of the workforce is unionized, compared to the 15.5 percent nationally. Tampa was voted the 3rd “Most Economical City to Conduct Business” by RPMG’s 2003 competitive Alternatives Study. Tampa, Clearwater, and St. Petersburg offers the following location benefits: the ability to attract qualified skilled employees, international airports and quantity of university programs that help create a skilled workforce. The Clearwater, Florida Murphy office provides expertise in the local market and connects you to opportunities worldwide. Whether it’s a franchise opportunity, merger and acquisition consulting, or site selection for commercial real estate, we will provide the confidence and expertise needed to partner with you on your business venture. The Clearwater, Florida (FL) office services the following areas: Tampa, Clearwater, St. Petersburg, Brandon, Lutz, Oldsmar, Riverview, Valrico Seffner, and Plant City.